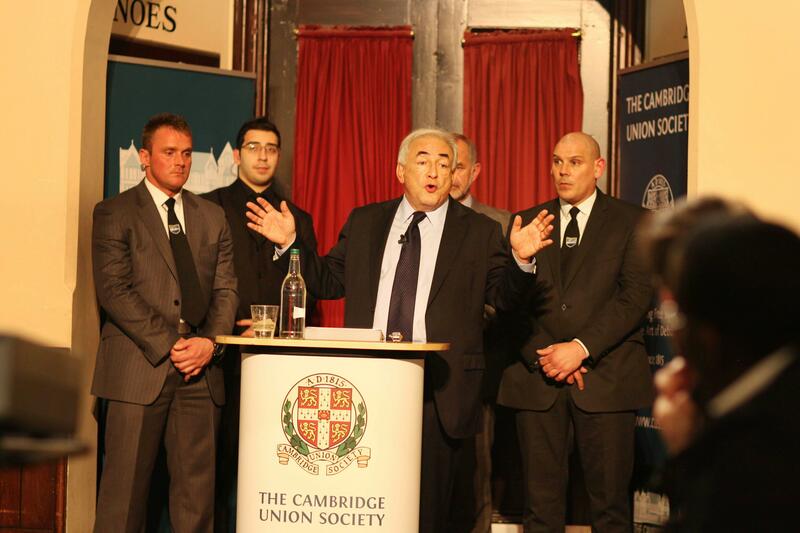 The lecture took place on Friday, March 9 at the University of Cambridge with a confident Strauss Kahn in spite of protests outside the lecture hall. “Not guilty until proven” seems to be a strong proDSK argument, but those who use it apparently did NOt follow the way how someone with lots of power and lots of money could wriggle out of almost any justice procedure. Casting doubt on the status of a victim is one of the ugly aspects of such a process. Next are conspiracy theories and there were several suggestions of attempts at framing a prospected French President candidate. The the colour of the victim versus the colour of the perpetrator and discriminatory law practices was brought in also, amplified with the aspect of class differences and discrimination of women. Differences also of culture, between a more protective attitude toward private life of politicians and officials in France versus the overt judgemental morality stance taken in the USA further obscured the issue. This bristle cloud of public debate has thrown so much dust in the air that Dominique Strauss Kahn’s lawyers managed to wriggle him out of prison, into a luxurious safe house and finally had him acquitted and free to leave the USA. There is NO Truth to be found in this kind of sensational cases. They do get Mythical and a myth is a unstable piece of lore that – nevertheless – does have some founding in a real event that occurred in whatever way in the past. There was an escapade of DSK in a New York Hotel and the chances that this was just a spontaneous consensual ‘rendezvous’ are at best hypothetical. More important DSK has a history of non-consensual relieve of his libido upon the bodies of ladies of which some have found the courage to express their disgust and anger publicly. All cases not formerly proved, none that has lead to a conviction. Muffling by hired lawyers of free speech, and whatever undisclosed means of pressure available to a man of political power like DSK, form the basis of his actual standing. Arguing that honouring an earlier invitation to the Student Union of Cambridge (as I understood) of DSK should be kept in the name of ‘free speech’ is preposterous. (***) Le Monde: Infographie Comprendre l’affaire du Carlton en trois minutes. Mis à jour le 20.02.12. An animated information graphic in the form of a narrated organigram that explains the complicated set up of the Lille/New York prostitution ring (L’Affaire Carlton) in which Dominique Strauss Kahn also plays his own role. The narration is in French. Comprendre l'affaire du Carlton en trois minutes (Understanding the Carlton Affaire in three minutes) - click image to go directly to the page of Le Monde and click the button 'démarrer' to start the info graphic. 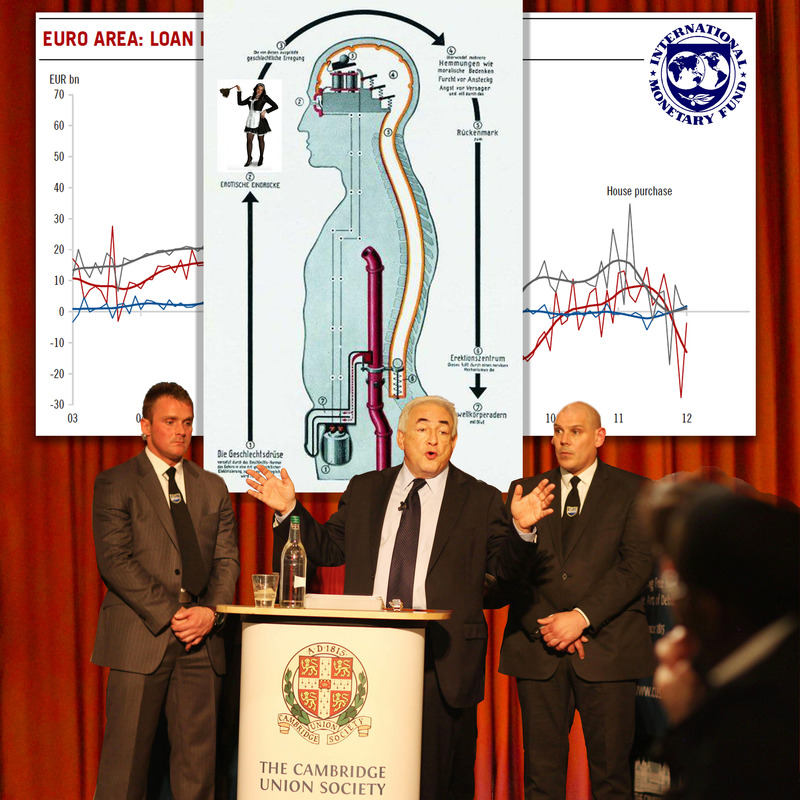 (****) “The global financial climate, globalization and the Eurozone” at http://www.cus.org with several applauding comments in favour of DSK..